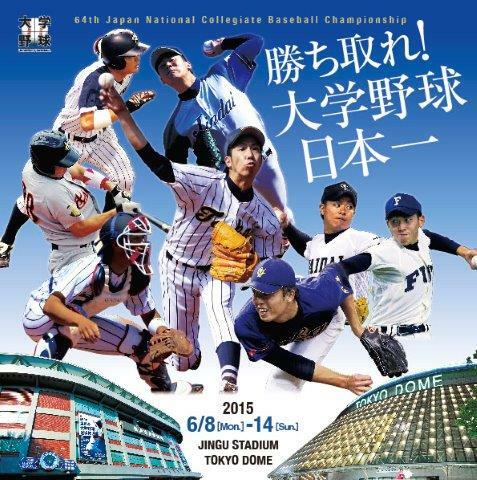 26 Regional Champions of University Baseball Teams in Japan started the 64th National Championship in the elimination tournament at Tokyo Dome and Meiji Jingu Stadium for 7 days from June 8 to 14, 2015. Tokyo Univ. of Agriculture, Hokkaido 5-3 Fuji Univ.